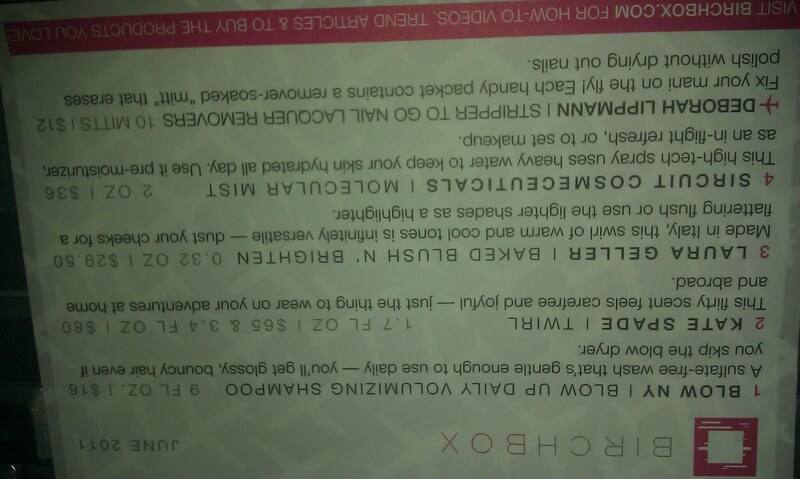 Oh Birchbox, you have outdone yourself. No knowledge of this beauty holy grail? See my overall explanation and review RIGHT HERE. I tell myself every month, “I shall not sneak peek my box. I shall not watch other haul videos or read blogs that will ruin the surprise.” So of course, that never lasts. I am one of the last to get my box and I get quite impatient. Obviously, I was psyched about this months box after seeing others receive the full-size Laura Geller product. & I am no less happy now that I have received it. Impressions: I love the Blush, which I feel is more of a bronzer. Nice shimmer, love that it is full sized, and I have been wanting to try it for the past few months. Shampoo has kind of a fresh and herbal scent. The bottle is good quality, will travel well. The nail polish mitts will be lovely to travel with too. Twirl by Kate Spade is tiny. I wish it were larger so I could try layering it with other scents, on its own, its not for me. They make it seem like its going to be fruity, which I love, but it doesn’t to me. NOTE: This could be my skin chemistry. Last, the Molecular Mist. I have been wanting to try a product like this so I’m so happy it was included. It is actually a decent size, smells nice and herbal, but not too strong. I think I will be loving it this summer. I might even buy a full size! Overall: Very happy. You can’t beat the price. $10 for the box, when the Blush N’ Brighten in Honey Dipped alone is about $30. Very satisfied. 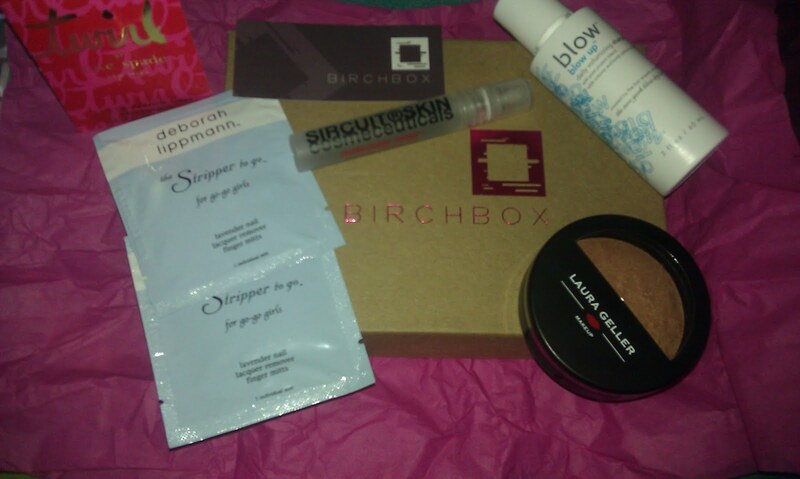 JUNE 2012 Birchbox: Jet Set Box –featuring Stila & theBalm! Birchbox October 2011 Overview Birchbox for June 2013 featuring Color Club, Mirenesse, & More! June MyGlam Bag- featuring Philosophy, NYX, & More!